Call for appointment—no referral necessary! Knee Surgery - Daniel J. Wassick, Sr.
Posted by Matthew P. Darmelio, M.D. There have been many patients referred to Mountainstate Orthopedic Associates for shoulder replacement surgery, and we are usually asked about the reverse procedure. The reverse shoulder replacement is a very specific replacement used for those people that have irreparable rotator cuff tears and an inability to lift their arm. Many patients can use the other arm to lift their shoulder, but they don't have an intact rotator cuff to help lift on the involved side. A traditional shoulder replacement is used for osteoarthritis, which is the more common arthritis, and for rheumatoid arthritis. Osteoarthritis is a chronic degenerative joint disease that affects mostly middle-aged and older adults. It is characterized by the breakdown of joint cartilage. Rheumatoid arthritis is a chronic disease that causes inflammation of the joints. 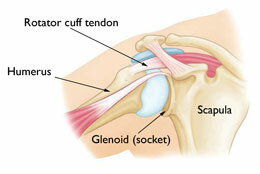 The cup goes on the ball (humeral head) side. This allows the arm to be raised, because it only relies on the large deltoid muscle to power it up, whereas a typical shoulder requires the rotator cuff and deltoid to work together to achieve the arm moving overhead. This replacement has become more commonplace as surgeons have become more comfortable with doing them. Again, it is only for a small subset of patients with certain clinical findings and not something used for every shoulder arthritis patient. 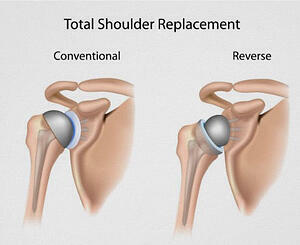 A countless number of people live with shoulder pain every day. If you are one of those people experiencing weakness or are having trouble lifting above shoulder level, you should consult one of our orthopedic surgeons. Our physicians are fellowship-trained in specific areas such as sports medicine and hand & foot injuries and can diagnose and treat even the most intricate orthopedic conditions. The members of our staff work very closely with one another to provide the best individualized care to each patient. We are committed to providing a positive state-of-the-art orthopedic experience to all our patients in an efficient, compassionate and helpful manner. If you think you may have a rotator cuff injury, please click below to schedule an appointment so we can get you back to your previous way of life! Written by Matthew P. Darmelio, M.D. Dr. Matthew Darmelio joined Mountainstate Orthopedic Associates, Inc. in June of 2005. He received his undergraduate degree at West Virginia University in Physical Therapy and his medical degree at the West Virginia University School of Medicine. Following medical school, he completed his residency in Orthopedic Surgery at West Virginia University. Dr. Darmelio is fellowship-trained in Sports Medicine at Methodist Sports Medicine Center, Indianapolis, Indiana. He is a native of Follansbee, West Virginia has been practicing in North Central West Virginia for over 10 years. He is a member of the American Academy of Orthopedic Surgeons and has been certified by the American Board of Orthopedic Surgeons since 2002. 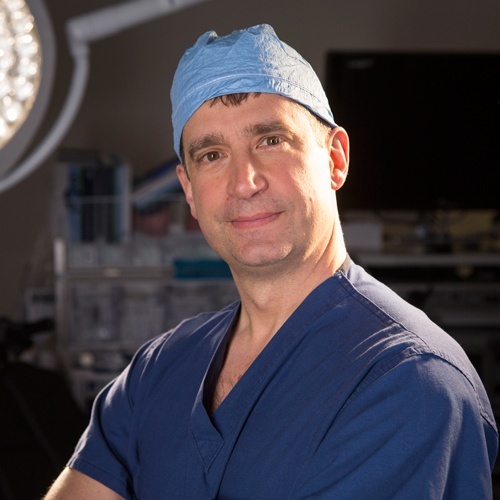 Dr. Darmelio has been involved with various committees, currently serving as chief of orthopedic surgery and a member of medical executive board at MonGeneral Hospital. He continuously updates his training to reflect the most recent orthopedic treatment options and techniques for his patients. Dr. Darmelio is currently the president of Mountainstate Orthopedic Associates, Inc. He serves as a team physician for West Virginia University athletics. Our surgeons at MOA have been providing cutting-edge orthopedic care to Morgantown and the surrounding areas since 1977. © 2019 Mountainstate Orthopedic Associates, Inc.